SECAUCUS, NJ — The $16 Billion, eight year transportation funding compromise plan unveiled yesterday September 30th includes funding for the long-awaited expansion of the Hudson-Bergen Light Rail system, Assembly Speaker Vincent Prieto (D-32) announced. The agreement will provide $2 billion in new annual revenue into the state’s Transportation Trust Fund, paying for hundreds of projects throughout the state ranging from road resurfacing to major bridge improvements to finally expanding the Light Rail north into Bergen County. Speaker Prieto has advocated for a comprehensive transportation funding solution from his very first days as the leader of the State Assembly and was a driving force behind the agreement announced today. The Speaker has also been a staunch advocate for light rail expansion, joining a coalition of local leaders in calling for funding. 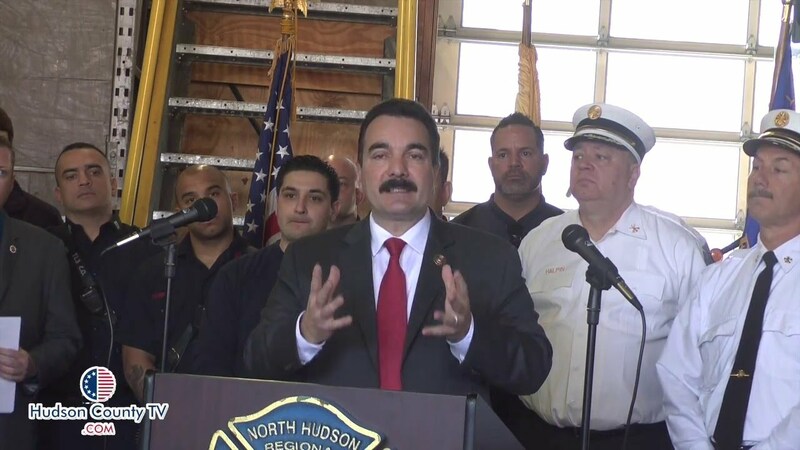 With the area still recovering from the crash of an NJ Transit train at Hoboken Terminal on Wednesday, Speaker Prieto also emphasized the public safety benefits of the transportation funding deal. The proposed Light Rail expansion would add seven new stations to the existing system, including stops at 91st Street North Bergen, Ridgefield, Palisades Park, Leonia, Englewood Route 4, Englewood Town Center and Englewood Hospital. Initial studies have found that it would add over 20,000 new daily riders.